Z-Man Finesse TRD 2.75 inch has been Specially designed for increasingly popular Midwest finesse technique, aka the Ned Rig, a custom ElaZtech formulation and salt content to provide the ideal sink rate, lifelike feel, and unique flutter desired by top finesse fishermen. 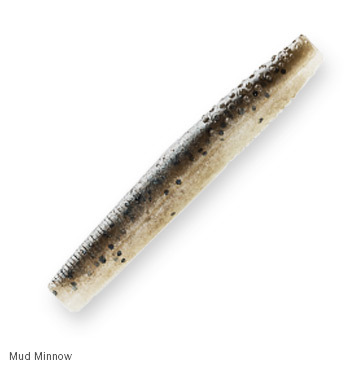 A dimpled texture provides an increased realistic feel, designed to be fished on Finesse ShroomZ Jighead. Super tough ElaZtech construction with a custom salt content in all the TRD’s, helped by exhibiting the precise sink rate and lifelike action that is irrespirable to all predators. 2.75” - 6.99cm in size and supplied 8 per pack. ZMAN TRD - Hot Snake, Perfect Perch, White Lighting are new in for 2019!! !